1. When you are on the main screen, tap the “Send” button in the navigation bar. 2. 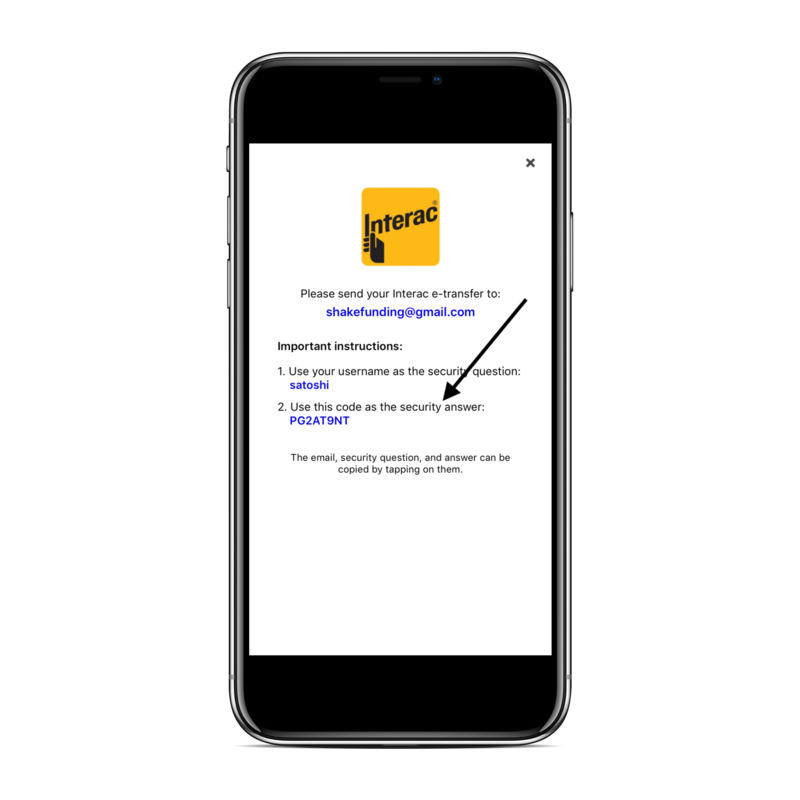 Once on the Send page, click on the Interac e-transfer logo. 3. Input the amount you want to receive via Interac e-transfer. You can also add a note if you want to. 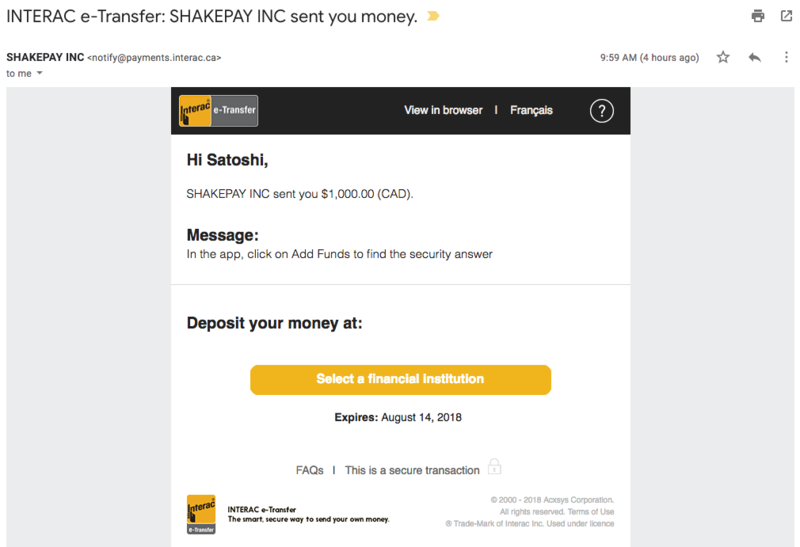 Please note the maximum is $5,000 per Interac e-transfer. 5. Simply accept the e-transfer. 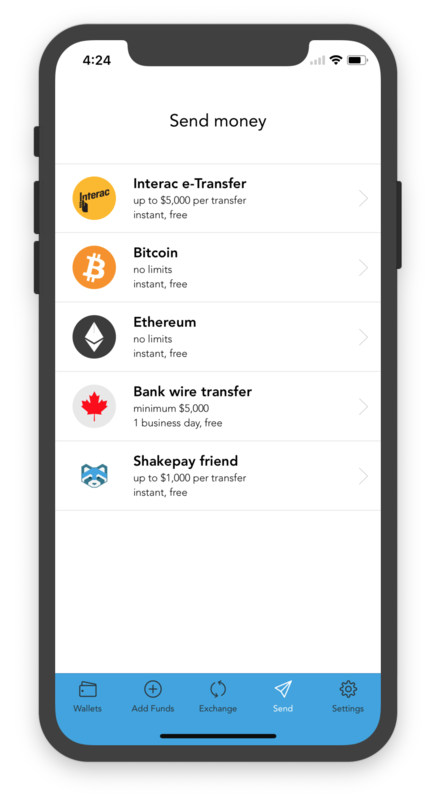 Please note: You can always find the security answer by going in the app, then clicking on the “Add funds” button, and then on the Interac e-transfer logo.